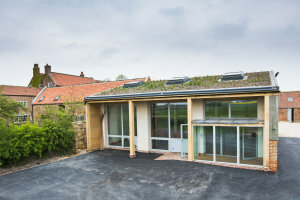 The Farm redevelopment near Tadcaster was a rural diversification project that empathetically converted Grade II Listed farm buildings to commercial use. 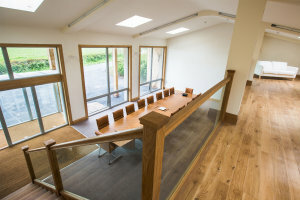 The development consisted of a new office showroom for high-specification bed-makers Harrison Spinks, the creation of new holiday cottages, the provision of a farm worker’s dwelling, re-ordering of the existing farmhouse and a comprehensive landscaping scheme that tied the historic farm building together. 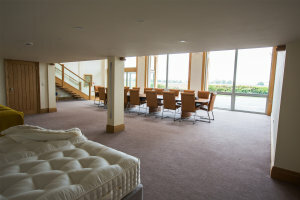 The client’s ethos is very similar to Native’s as “every effort is made to use only natural, renewable materials” and they “are committed to growing their own materials locally and avoid sourcing from distant parts to reduce embodied energy” – they grow and manufacture bedding materials on site. This allowed us to work with the client to incorporate natural, renewable materials into the sensitive upgrade of the buildings. To insulate the large wall surfaces of the agricultural buildings, a mixture of hemp and a lime binder was cast in panels around timber stud work. 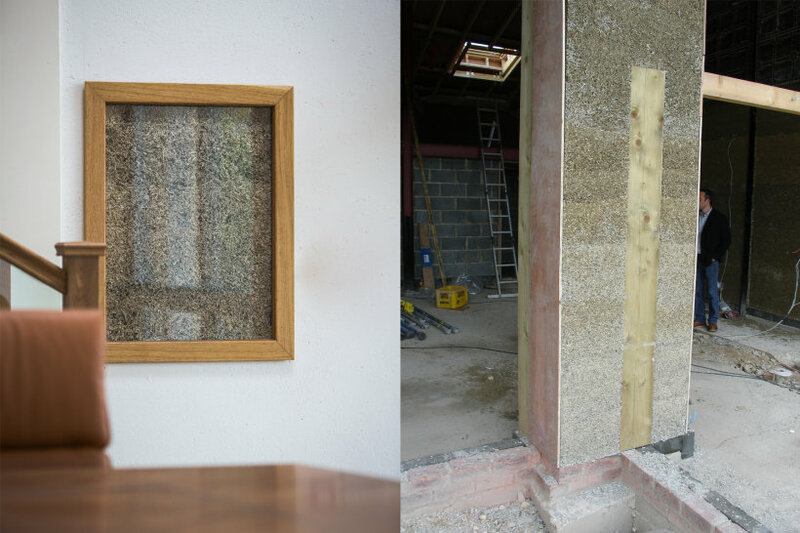 In-situ cast hemp lime was adopted in order to ensure airtightness, breathability, humidity control and thermal mass to store solar heat gains. 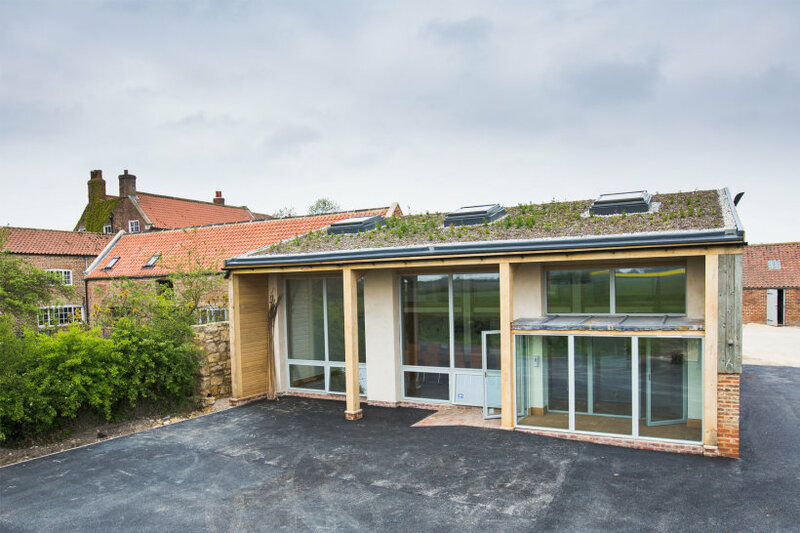 This approach minimised the heat input required from the district heating system, which is fuelled by waste from biomass grown on the adjoining farmland.